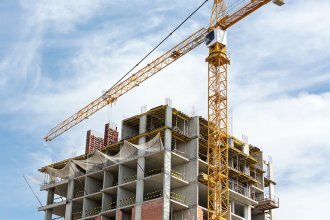 When you are constructing or renovating a building that is located on a challenging site, you may want to consider the benefits of shoring erection. 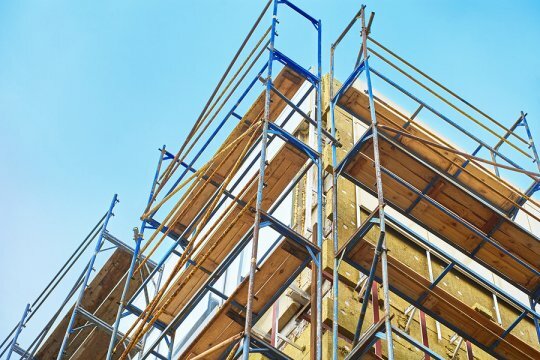 With a shoring system that has been put in place by a company offering scaffold rental , you can rest assured that all of the load bearing walls in your construction project are properly supported. Here is a closer look at how shoring can be used to support a load bearing wall. The first step of erecting a shoring system is to survey the construction site. Your shoring expert will need to determine where along the properly line the shoring installation will be most effective. In addition, surveying is also used to find the safest location for the shoring erection. 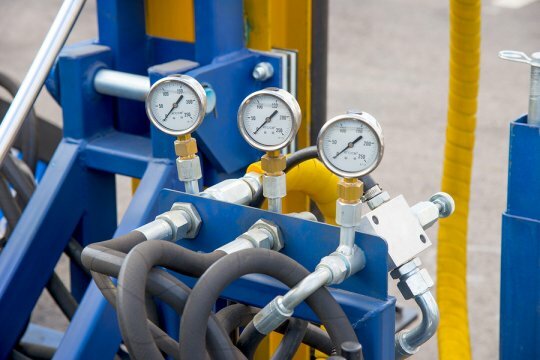 Once the survey process has been completed, it will be time to start the installation procedure. In order to provide the proper amount of support for the retaining wall, the shoring system must be installed in deep shoring piles. Using a tool called an augur, a technician will drill holes deep into the ground. After the augured holes have been dug, the shoring piles will be carefully lifted into place. Adding structural concrete is perhaps the most vital step of the shoring system installation. Once the shoring piles have been put in place, structural concrete will be used to completely fill up the augured holes. This concrete installation will keep the shoring piles safely in place, and allow the construction project to continue in a safe manner. 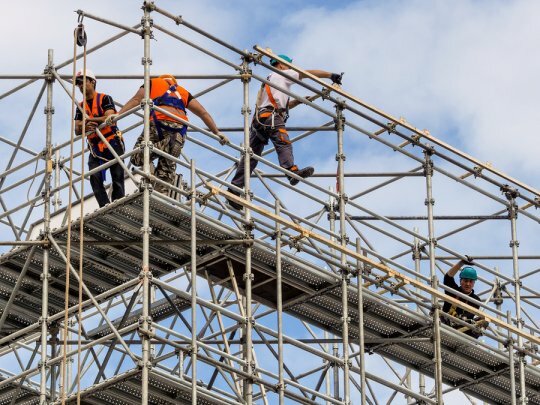 For more information about the shoring and scaffold services that are available for your next construction or renovation project, be sure to contact Scaffold Resource . 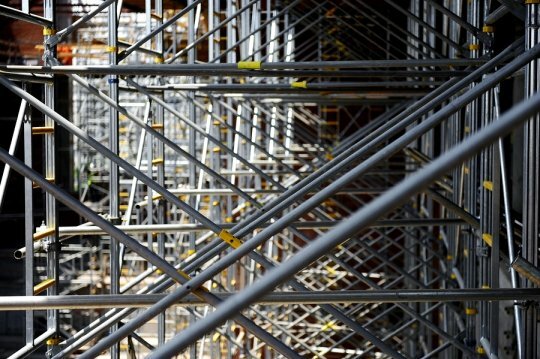 As a leading company offering aluminum scaffold and shoring rental in the Washington, D.C. area, we are sure to provide you with terrific construction and support services. Call us at (301) 924-7223 to schedule a consultation for your next project today. If you have a large structure that needs to be supported during a remodeling or renovation project, you are going to want to install a shoring system to make sure it remains standing. 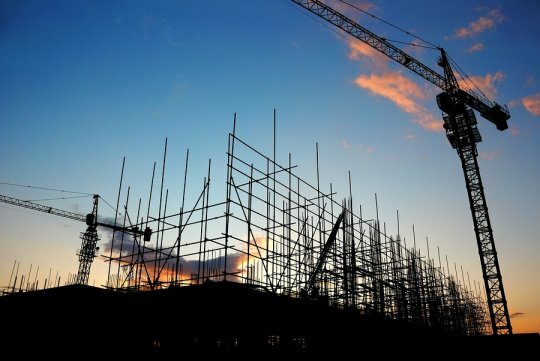 Shoring systems look a lot like scaffolding systems, but they serve a much different purpose. To find out more about shoring , check out the answers to these common shoring questions. There are many different types of shoring and all of them have different descriptions , but in general, shoring is a temporary structure that is used to support another structure. When a structure needs support, a shoring system can be installed underneath it to make sure that it doesn’t collapse. The proper building shoring should always be used to support a structure that is under construction. What are some of the uses of shoring? A shoring system has many uses. For example, if a church is being expanded to fit more people but the roof of the church is still in great condition and is going to be used on the revamped structure, a shoring system can support this roof during the expansion process so that it stays in place. As you would imagine, extensive plans need to be drawn up to make sure this is possible, and safety must be maintained at all times when you “shore up” a structure. Improper installation of a shoring system can be catastrophic. An entire structure could collapse if shoring is not done properly. Therefore, shoring should only be completed by companies that have the experience to do it and a thorough knowledge of OSHA requirements. Shoring can be helpful to contractors, but those contractors should trust professionals to install it for them before they get to work so that no workers are in danger during construction. Scaffold Resource carries a wide range of shoring systems near Washington, D.C., and can successfully install shoring for you before your next project. Call us at (301) 924-7223 to find out about the shoring we carry as well as our scaffold rentals.